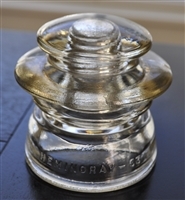 Hemingray - 46 20-40. clear glass insulator for home decor or collection. Brown ceramic insulator not marked for interior decor, industrial accent. 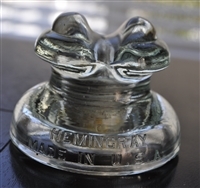 Hemingray - 42 green heavy glass insulator display that can be use for interior decor. 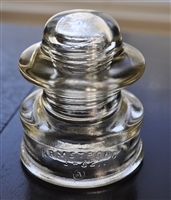 Armstrong 51-C1 yellow hue glass insulator for home decor. Chocolate brown vintage insulator marked KEARNEY. 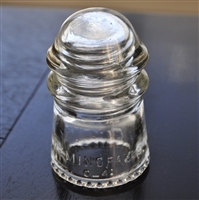 Insulators in glass and ceramic - set of 3. Hemingray-53 yellow glass insulator for decoration, paperweight. Hemingray D-512 aqua blue glass insulator, paperweight, decor.